Did you know you should be drinking approximately half your body weight in ounces of water each day? I know, I know. Water is boring. I hear people say that all the time. Well, not anymore! You can add tons of different fruits, veggies, and herbs to make water taste better. Fill up a pitcher, toss in some combination from below, and let it sit in the fridge for a few hours (the longer you let it steep, the more flavor you’ll get, but you can also enjoy it immediately). 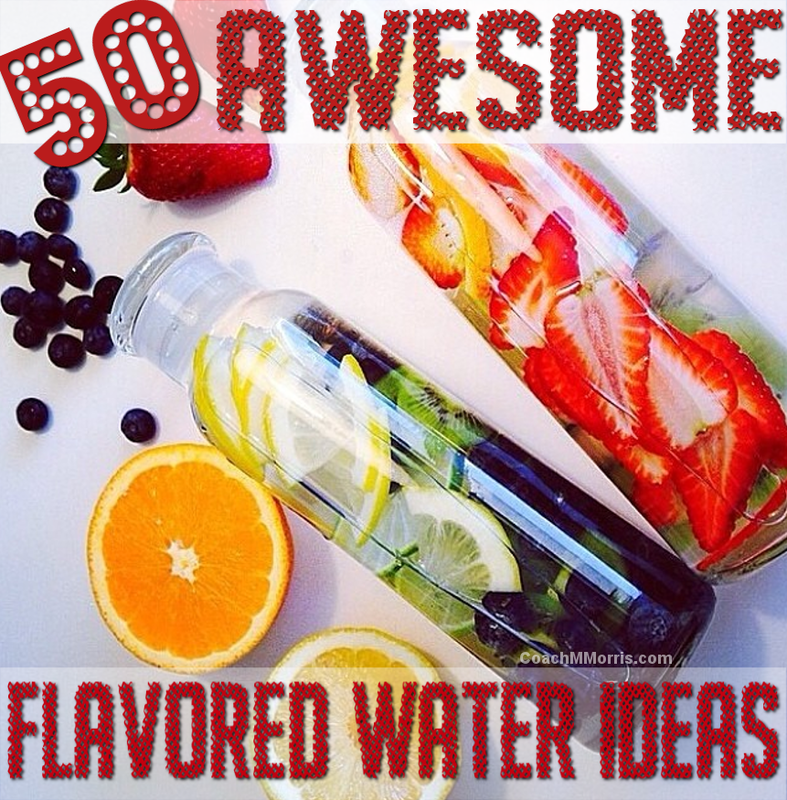 Here are 50 awesome flavored water ideas. I hope this gets you thinking outside the box and trying out more water. I could totally KEEP going! You can create AS many fun combinations of ingredients you want! Get creative and never look at your water the same way again! The possibilities are endless.... What is your favorite combinations?